Fifty years later, it is a remarkable document (read the entire article here), at once reflective of its time and very much ahead of its time. 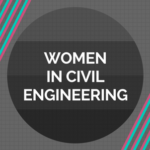 What, one wonders, would Judy Hamilton think of “Should Your Daughter Be A Civil Engineer?” 50 years later? We called her up to find out. “What a surprise to find that my article can still be found,” Hamilton said. 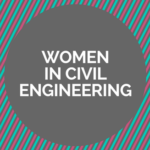 If anyone ever posed the question to her father – should your daughter be a civil engineer? – Hamilton has spent her life answering it in the affirmative. 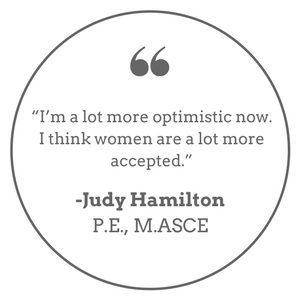 Hamilton, P.E., M.ASCE, is still a civil engineer as she approaches her 79th birthday, serving as a FEMA reservist. She traveled to Georgia last November for a month doing mitigation work after Hurricane Irma. She started her career working for the Bureau of Reclamation in the 1960s, before spending four decades based in Colorado working as a consultant, mainly in groundwater hydrology, engineering geology, and environmental studies. 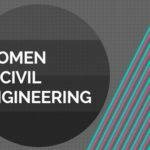 She talked to ASCE News about her career and that CE magazine article. 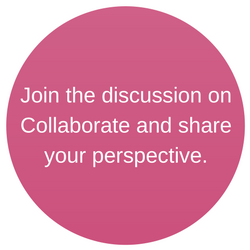 We read selections from the piece, asking her how the 2018 Judy felt about the 1968 Judy’s perspectives. Hamilton in 2018: “I think that’s definitely changed. Very different now. 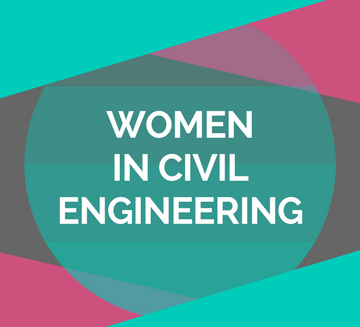 When I got into engineering, I was very active in the Society of Women Engineers, and that was very helpful. I met some very successful women engineers, and that was a big encouragement. Hamilton in 2018: “I think fathers relate better to their daughters now than they did when I was young. Just from what I’ve seen with my nephews, they’re much more involved with their children than fathers were when I was young. “That probably should help women. It used to be when I was young, you were supposed to maybe work for a couple years, have a child, and then stay at home. There’s a very different attitude now. Families now do not expect their daughters to get married and stay home. Articles like hers helped push that trend toward acceptance. Not that she ever was trying to start a movement. Thanks to Erin McCauley, P.E., M.ASCE, manager of capital delivery at California Water Service, for bringing Judy Hamilton’s article to the attention of ASCE News. I worked for the Bureau of Reclamation in Sacramento in 1968 and remember Judy Hamilton. Interesting to hear about her career. I am very grateful to my guidance counselor in high school who handed me a brochure in 1980 describing the opportunities for women in engineering. My counselor told me “I am supposed to encourage girls who are good in math and science to consider engineering as a career” and I am happy that she did. She had no idea what engineers do everyday and did not even know anyone who was an engineer. I did my own research and asked my parents if they knew anyone. I interviewed my neighbor and did an expository writing assignment on the history of the engineering profession. I celebrated my 30th anniversary as a working Civil Engineer in 2017. I graduated from Colorado State University and was hired by Public Service Company of Colorado to be trained for natural gas engineering. I still work in natural gas and after a 16 year hiatus returned to Xcel Energy, the parent company of Public Service. I am a PE and hold the title of Principal Engineer working in gas transmission operations for Xcel. I thank those who wrote articles and brochures encouraging girls to become engineers, without them I would not be where I am today. I would have to disagree with Ms. Hamilton’s response to her own statement about taking time off of engineering to take care of children. When my first son was born in 2004, I started working part time. I worked for the same company for about 3 years. (I had been with them for 6.5 before that, full-time.) Then, right before my second son was born in early 2008, I left work completely and took care of my kids full-time for about five years. I then re-entered the workforce part-time and worked for about 2.5 years before going back to work full-time. Civil engineering has been good to me. 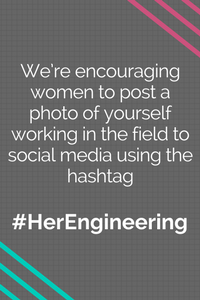 I was able to stay engaged in the engineering community, even when I was not working, which made my transition back to working easier and almost seamless.